Everyday network issues add up. It’s the “minor” problems that cost the most. System-wide outages are dramatic but rare. Daily micro-events go unnoticed because they are so common. Call for a free network assessment at 833-437-8378. Or fill out our contact form and we’ll be in touch shortly. It’s not just the time. This short video illustrates the hidden drain. One dragging application doesn’t seem like much. Maybe it takes 30 seconds to load instead of 5. That’s just 25 seconds. But how many people in your organization are opening up that app? How many times per week? Bad networks contribute to bad attitudes. Workers get frustrated with sluggish network responsiveness. They might turn their attention to Instagram while waiting for the progress bar to get to 100. That is forward momentum, squandered. 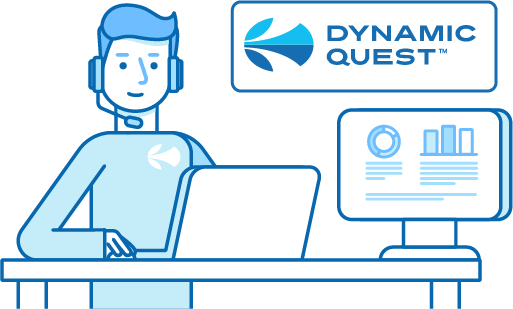 Dynamic Quest Managed IT keeps your network at peak performance. 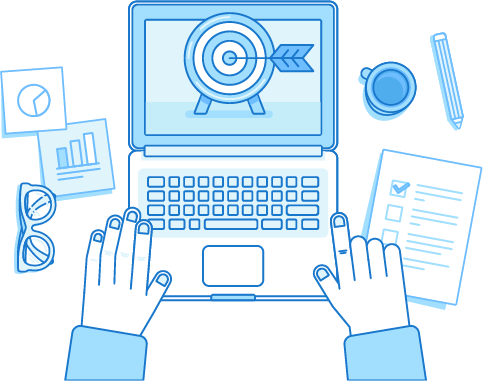 Even if everything seems to be running smoothly, your account team will be anticipating future needs, assessing cost-effective improvements, and more. Proactive IT management is the solution. With a team of professionals continually monitoring your network, you’re not just waiting around for a problem to develop. You’re addressing it before it has a chance to develop. A fixed monthly cost means you can budget strategically for best results. Call for a free network assessment. Or fill out our contact form and we’ll in touch shortly.